It starts with a letter. If you are selected by the Internal Revenue Service for an audit, it is important to respond appropriately. The first furtive thought that may cross your mind when you are contacted by the IRS might be, “Why me?” The IRS selects individuals and entities for audit based on random selection as well as computer algorithms that find your tax scenario more interesting than others. You may also be selected from the stream due to an anomaly in your returns or reports. You may have business dealings with someone already under investigation—or someone may have tipped the IRS to unusual tax dealings in your business sphere. Despite the IRS use of collection agencies to pursue delinquent tax debt, the IRS claims it does not start the audit process via phone. If you are contacted via phone concerning a tax audit from someone claiming to be from the IRS, take their name and phone number, hang up, and contact a legitimate IRS office for more information. What does an audit entail? 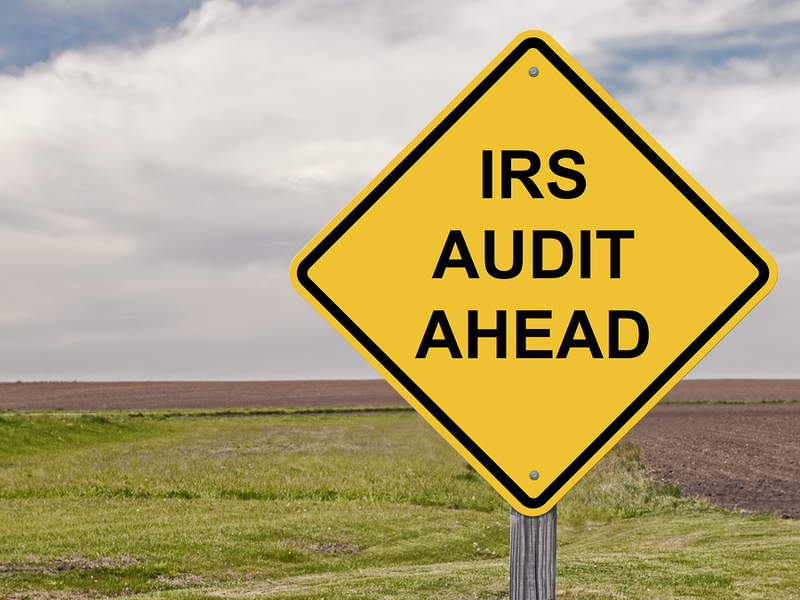 As a process, an IRS audit is fairly straightforward. The IRS contacts you to obtain more information. The IRS may request that you mail additional information to the IRS. Audits conducted via correspondence are less stressful, but your response and the documents you provide should be no less thoroughly prepared than if you are meeting with the IRS in person. The IRS may also ask you to attend an in-person interview at an IRS office to look over your taxes, and records that you bring with you. Depending on the outcome of the office visit, an additional interview may be scheduled, or other documents may be requested by the IRS to conclude the audit. You may also be notified of an IRS visit to your office or company. A field interview may be conducted if your books and records are more voluminous than can be easily transported to an IRS office. Nonetheless, a field office visit from the IRS signals serious business. Despite a desire to “get it over with,” resist the urge to gather your returns and accounting documents in a box or on a hard drive and set up a quick meeting with the IRS. Even taxpayers and business people with absolutely nothing to hide should prepare appropriately by speaking with an experienced criminal tax defense attorney. Your accountant can guide you through your financial records. But a skilled tax lawyer knows what the IRS is looking for and how to help you, and your tax practices, though an IRS audit. With offices in Cleveland, Ohio, and Chicago, Illinois, we deliver aggressive legal representation to resolve your tax concerns. Contact us or call 800.579.0997 today.